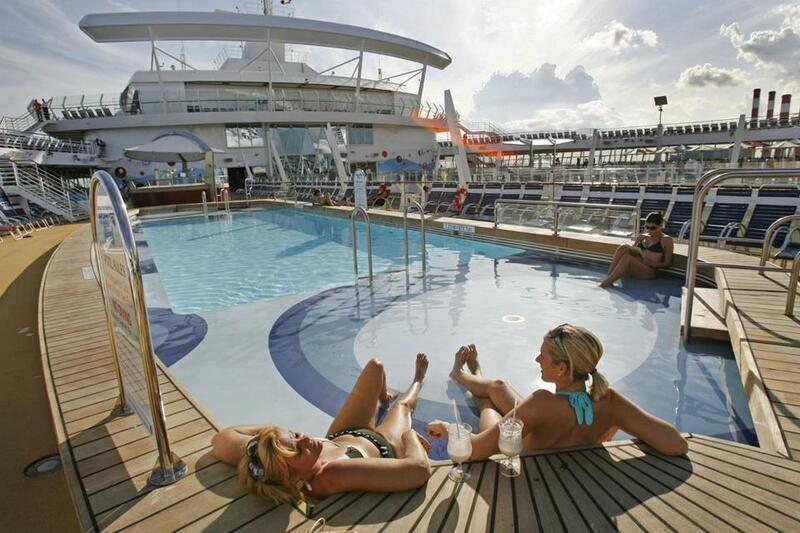 Passengers relaxed on the deck of the Oasis of the Seas in 2009. MIAMI (AP) — More than 150 passengers on Royal Caribbean’s Oasis of the Seas have been hit with an outbreak of Norovirus as it sailed from Florida to Jamaica. The ship left Port Canaveral on Florida’s Atlantic Coast on Sunday. It is on a seven-night cruise through the Caribbean with a stop planned in Cozumel, Mexico, before returning. Royal Caribbean hasn’t to an email from The Associated Press. Cruise spokesman Owen Torres told Florida Today late Wednesday that 167 cases of gastrointestinal illness had been reported since Sunday, representing 2 percent of the nearly 9,000 guests and crew onboard.